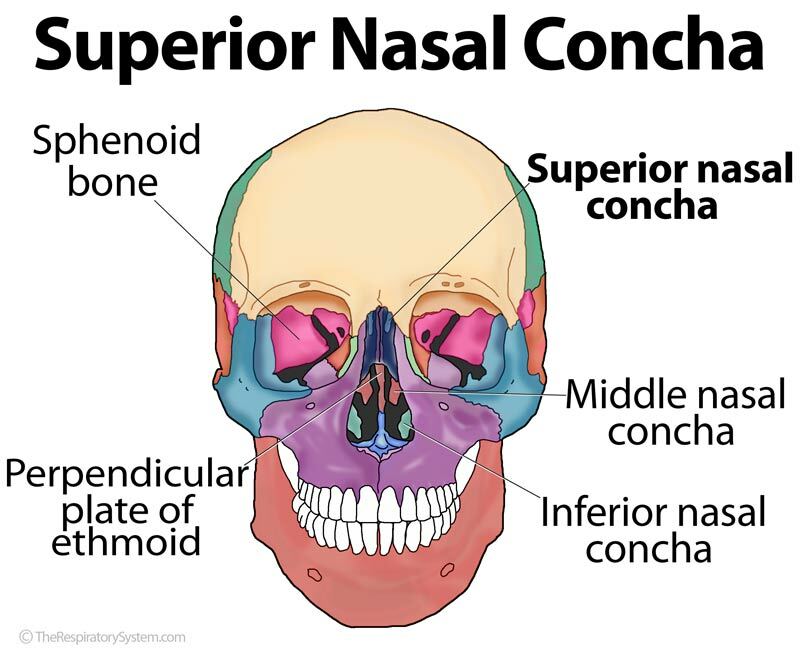 The small, delicate seashell shaped bone located above the two other turbinates, projecting toward the perpendicular plate from the ethmoid bone is the superior concha or superior turbinate . It is considered a part of the ethmoid bone. Located underneath and lateral to this bone is the superior meatus , a narrow oblique fissure where the posterior ethmoidal cells open . 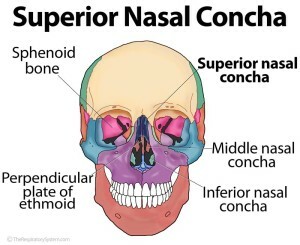 The sphenoethmoidal recess, the narrow opening of the sphenoidal sinus, is situated directly above the superior concha . The superior meatus and the sphenoethmoidal recess are separated from each other by this concha .